I loved gymnastics when I was a kid. From balancing on the beam and swinging on the bars to hanging upside down in trees and turning cartwheels on the beach. When I was fourteen I became drawn to trampolining – that sense of freedom multiplied by literally flying through the air. Then in my twenties I found a circus school in East London and took to tumbling. There was lots I had to re-learn, but somersaults and back flips were the perfect antidote to having to grow up. When we moved down to Devon I was thrilled to discover that there was a gymnastics club in Torquay with classes for adults as well as children. My post-baby body hasn’t quite found the strength or agility to go back to tumbling yet, but it’s been brilliant to build up my trampoline skills again. Arthur seems to be loving it too. He’s moving up this week from the baby group to be with the other toddlers, and is practising his forward rolls any chance he gets. He seems to get a real thrill from going head over heels – just like his mum. I think gymnastics is a brilliant skill for kids to learn. It’s just an extension of playing, really – but it brings with it such self-awareness, focus and coordination. I think there’s something about pushing your body beyond its everyday range of movements and using your own body weight to build its strength that’s very empowering – and of course it helps keep you fit and healthy too. So I hope Arthur continues to enjoy it, and I look forward to rekindling my own gymnastic ability too. I might never quite get back the level of skill I had when I was younger but that’s not going to stop me wanting to try! This entry was posted in Sophie is parenting, Sophie is photographing, Uncategorized and tagged gymnastics, toddler, Torbay Olympic Gymnastics Club, trampolining, tumbling on June 25, 2014 by sophieblovett. Ah that’s a shame. Maybe you should seek out an adult class..? 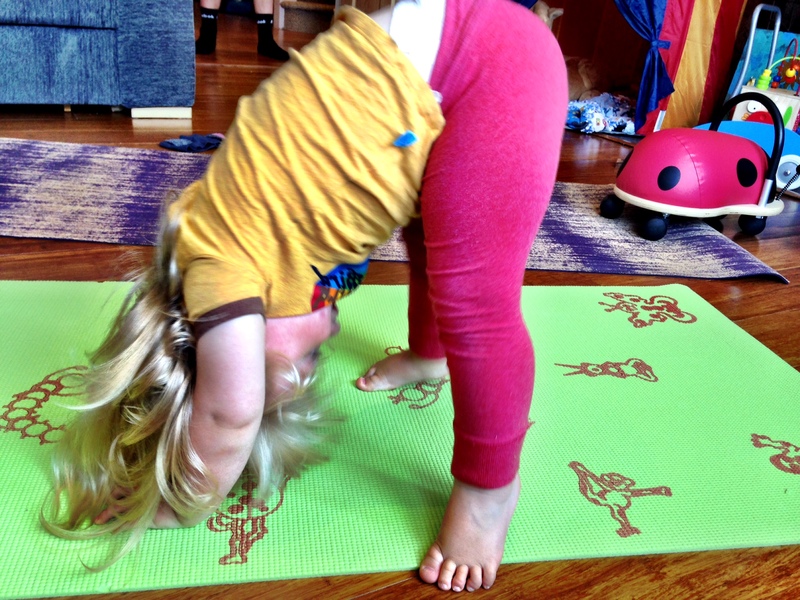 I never thought about gymnastics classes for my toddler, but this looks like so much fun. It’s good to know that you and your little guy share the same passion. Lovely photo :). I too loved gymnastics as a child.